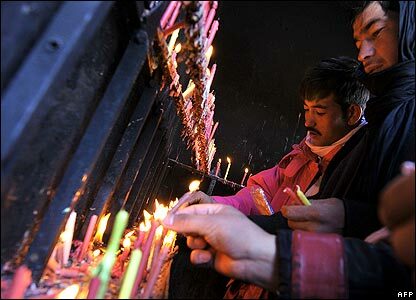 Shia Muslims around the world have been holding ceremonies to mark Ashura. 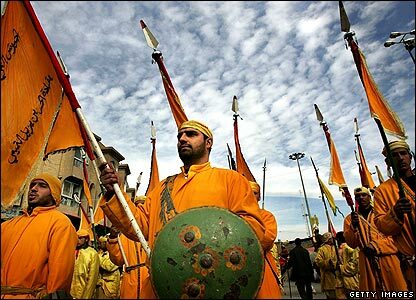 The ceremonies mark the death in battle of Imam Hussein, grandson of the Prophet Muhammad, in the year 680. 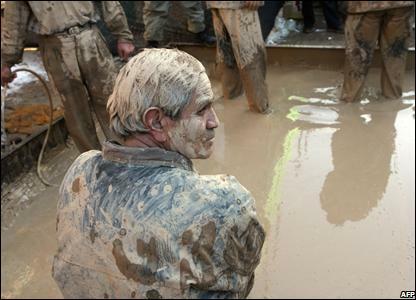 Here, residents of Karbala in Iraq re-enact that battle. 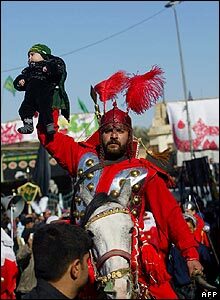 His death at the hands of the Caliph Yezid was the defining moment that sealed the schism between Shia and Sunni Islam. 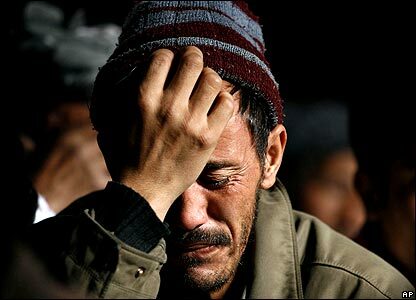 Ashura is a time of reflection and sorrow, which culminates over the weekend on the 10th day of the lunar month of Muharram. 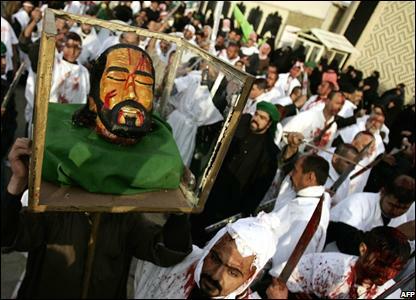 During remembrance ceremonies, Shias beat their heads and chests to echo the suffering of Imam Hussein. One ritual is the Kharrah Mali, or mud-rubbing, in which devotees roll in mud, dry themselves by a fire and then flagellate themselves. 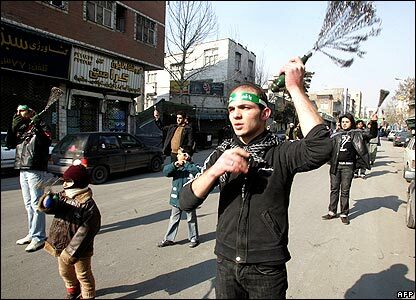 Self-flagellation with chain whips is a common ritual. 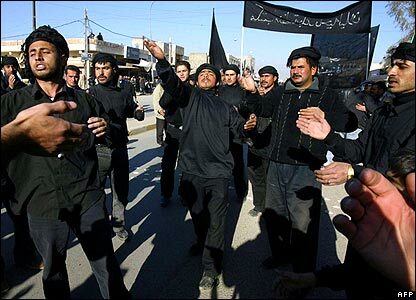 In another ceremony, men cut their scalps with machetes in the Iraqi holy city of Najaf. 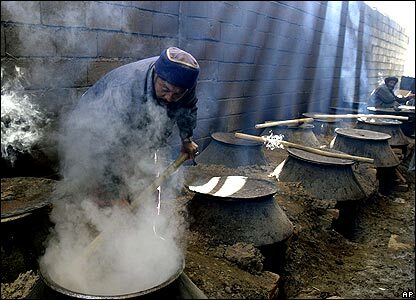 Food, often prepared in community kitchens like this one in Kabul, is handed out free after prayers have taken place. In Najaf, Iraq, men cut up meat which will feed some of the many pilgrims who have descended on the holy city. 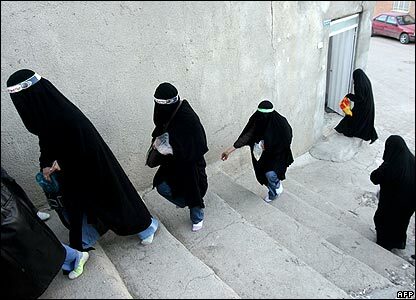 In Khorramabad, Iran, women mark the day before Ashura ends by walking without any shoes on between sacred sites dotted across the city.